The tools, the content and the insights you need to boost engagement and align employees with an engaging and gamified workplace experience. Engaging and communicating with your employees shouldn’t be this hard. 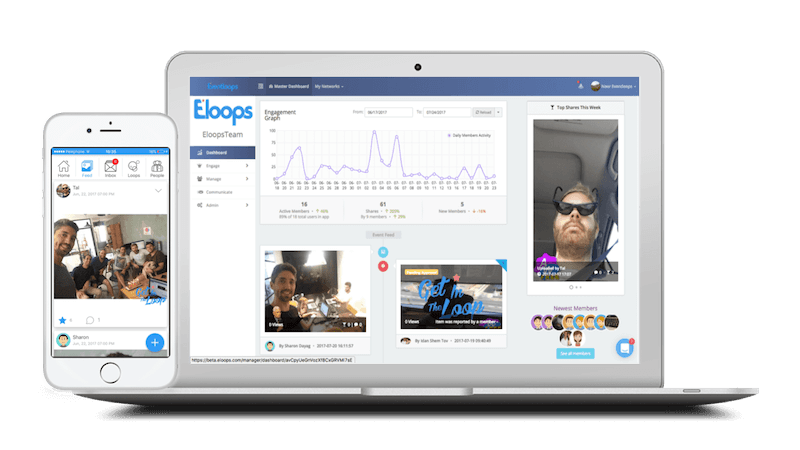 With Eloops it’s simple, fun, personal and engaging to everyone. 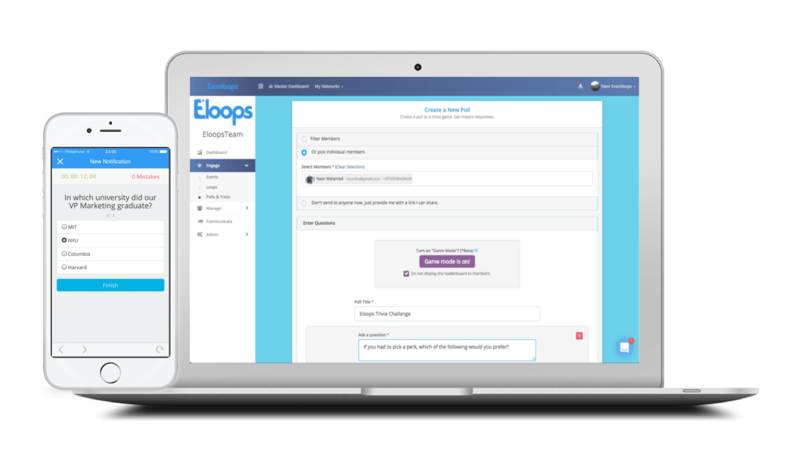 Join hundreds of the best companies that use Eloops to engage their employees. 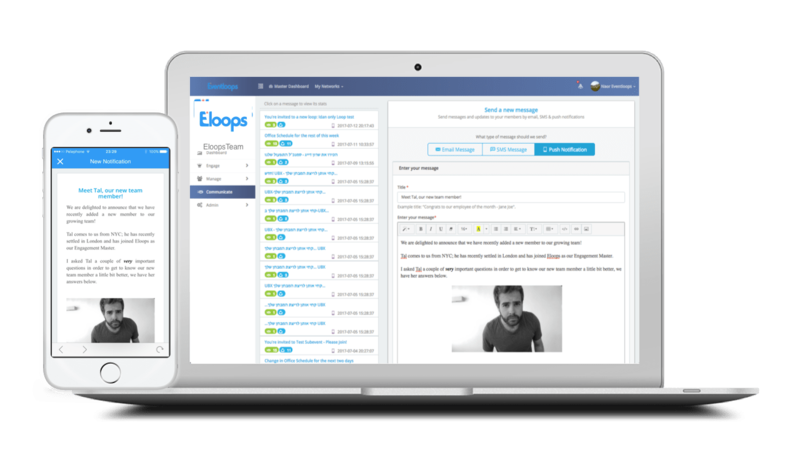 Communicate with, train and engage your employees – all in one place. 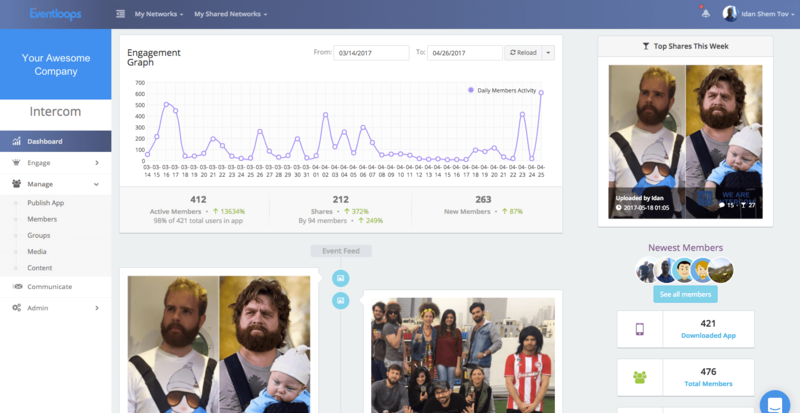 Create a place where employees can share moments, experiences and use our built-in polls and survey creation tools to get instant feedback from your employees. Discover how employees feel and make better decisions based on live feedback from your employees. 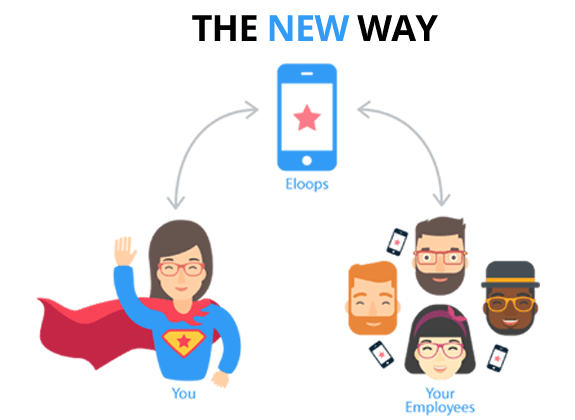 Send targeted emails, SMS messages and in-app push notifications to your employees. Target messages based on filters and schedule future delivery. Track and measure the success and impact of sent messages. Use our built in tools to create and deliver a learning and training experience that is personal, fun and effective. Make important information reachable where ever you employees are. It’s not just the technology or tools, it’s the engaging and relevant content that matters to employees. Browse endless content offerings and employee engagement activities in our marketplace. 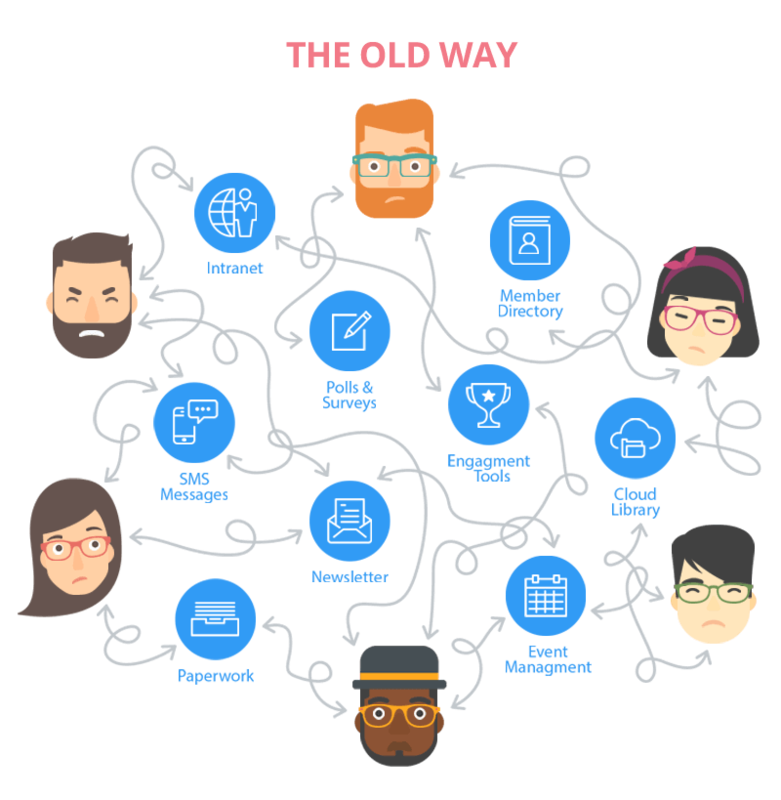 Tips, ideas and everything that’s trending in employee engagement and experience.